HP is shedding thousands of employees through layoffs. 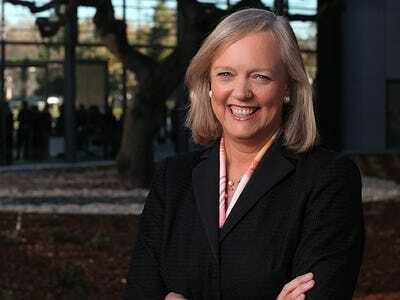 But in legal actions it’s taking against two ex-employees in Texas, the company is showing it wants a strong say in who leaves and who goes.Speaking at a tech conference held by Morgan Stanley yesterday, Meg Whitman gave a status report on the company’s massive, three-year layoffs plan. HP said it would be trimming about 29,000 jobs, and it’s about halfway done. That means the company still plans to trim 15,000 more jobs, she said. “I feel great about where we are in the context of this turnaround,” she said. There’s no question that HP needed to get a handle on expenses when Whitman took office. In a company with more than 300,000 employees, layoffs were an obvious choice, particularly within HP’s struggling Enterprise Services unit, which provides information-technology services to businesses. It’s by nature a people-heavy business. But by putting people on notice their jobs may not be safe — and it may be years before the cutting process stops — employees are apt to quit on their own. And this can lead to some odd consequences. Last October, General Motors, a huge HP customer, announced that it would directly hire some 3,000 HP workers who had been managing GM’s IT operations. GM was “insourcing,” or taking some of its IT operations back in-house, and putting HP’s $600 million outsourcing contract at risk. It’s not clear how much HP will be able to keep of that big, multimillion-dollar GM contract. Two HP employees saw their chance. They quit for jobs at GM and allegedly took 18 employees with them to GM. One thing we can’t figure out: Wouldn’t it make them happy when employees quit on their own, saving on severance costs? We asked HP but the company declined comment. A possible explanation: If HP is able to keep key employees in place, it may have a better chance of keeping at least some of GM’s business. The more GM is able to hire HP employees on its own, the sooner it can stop paying HP.